The pioneering video ads were unattractive, impractical and wasted lots of mobile data of mobile users. The worst video ads were those that were too heavy and slow to load, which wasted a lot of time. Even when those video ads managed to load, the format of the video ads did not fit the mobile phones perfectly. 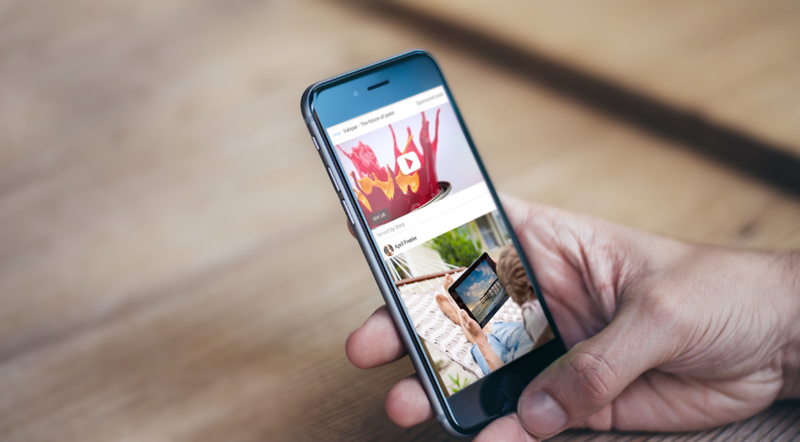 Come to 2016 and mobile video advertising is now a necessity for brands. With the advancement of mobile data plans, video ads now get delivered to the smartphones of mobile users almost instantly and in high resolution. Video ads engage and grab the attention of mobile users, unlike other ad formats. It almost always offer high click-through rates (CTR), high engagement level and excellent brand awareness. According to Business Insider, video ads generally has a click-through rate of 1.84%, which are well ahead of other ad formats. Through video ads, mobile consumers are able to experience products and services in a way that interstitial ads cannot do. Video ads can inform and excite mobile users, and tell them what to expect from a product, service, app or game. Additionally, video ads command the attention of mobile users in a faster way, and is the best way for consumers to discover and research products before making a purchase. It was reported that in the United States alone, the revenue for mobile video advertising are going to increase from $3.54 billion in 2015 to $13.3 billion in 2020, due to a 30% annual growth rate. It was also predicted that revenue from mobile video ads would overtake revenue from desktop video ads, with mobile and desktop hitting $5.6 billion and $5.1 billion respectively. This means that mobile video ads are of critical importance, and brands should start maximising the effectiveness of it with the following recommended practices. Graphics alone are not enough to inform mobile users of the full features of a product or service. In this case, by utilising videos, the mobile consumers get what brands are trying to sell through a simple story or message. Make it short, entertaining and straight to the point. These are the 3 main pillars of a watchable video ad that make consumers think that it is worth their time. Coupled with entertaining and interesting visuals and music, video ads attract the attention of mobile users. It is critical to show the features of the product or service in the video ad. This allows the user to educate themselves, and to do the necessary research that they want before making a purchase. This is very subjective, but the most engaging, interesting and entertaining video ads are the ones that are well executed, skillfully created and attracts the attention of mobile consumers. Mobile technology has evolved tremendously throughout the years, making mobile video ads the ideal ad format for brands, which can increase their brand awareness, recognition and even conversions.